Are you thinking about learning a new instrument? There are a lot of things to consider. You want to make sure that you have everything you need and are in a comfortable and fun environment. It is also imperative that you have a trusted and experienced professional to teach you. It can be overwhelming, to say the least. Luckily, Guitar Center has you covered with everything you need. 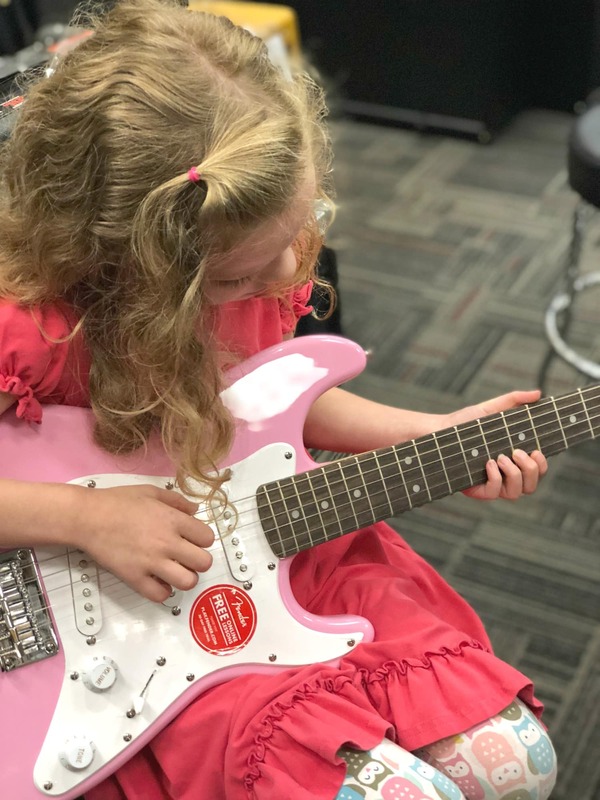 At your local Guitar Center, you won’t miss a beat with their friendly, professional staff giving you all the music lessons that you need in a comfortable environment. This post is sponsored by Guitar Center. All opinions are 100% mine. As the Christmas season approaches, wish lists begin to fill up. My husband remembers when he was 16-years-0ld, all he wanted for Christmas was a new guitar. It was the early 1990’s and Eric Clapton had just released his Unplugged album. Every teenager in America was wanting an acoustic guitar for Christmas that year. Santa did not disappoint and my husband found himself holding a brand new guitar on Christmas morning. The elation quickly turned to frustration when he realized that you couldn’t just pick these things up and sound like Eric Clapton immediately. You actually needed to know how to play them. And they were HARD to play! He needed some music lessons! Luckily, he came from a very musical family and he also had lots of friends that were talented musicians. He was able to learn to play over the years by jamming with these people and says that he STILL learns from everyone he plays with and considers every jam a music lesson. He believes that learning is a uniquely human experience that is best accomplished in a personal and intimate setting. Yes, these days there are tons of videos that you can watch online that will tell you how to play any instrument you want. But, as a former teacher, I agree with my husband. Learning is best done in person when the exchange and flow of information can happen in real time with a private music lesson. I think this is especially true when dealing with a craft like music education. So, if you or someone in your family is thinking about learning to play the guitar in the near future, I highly recommend getting personal lessons from a professional. Now that our children are getting older, they are starting to take interest in learning music as well. 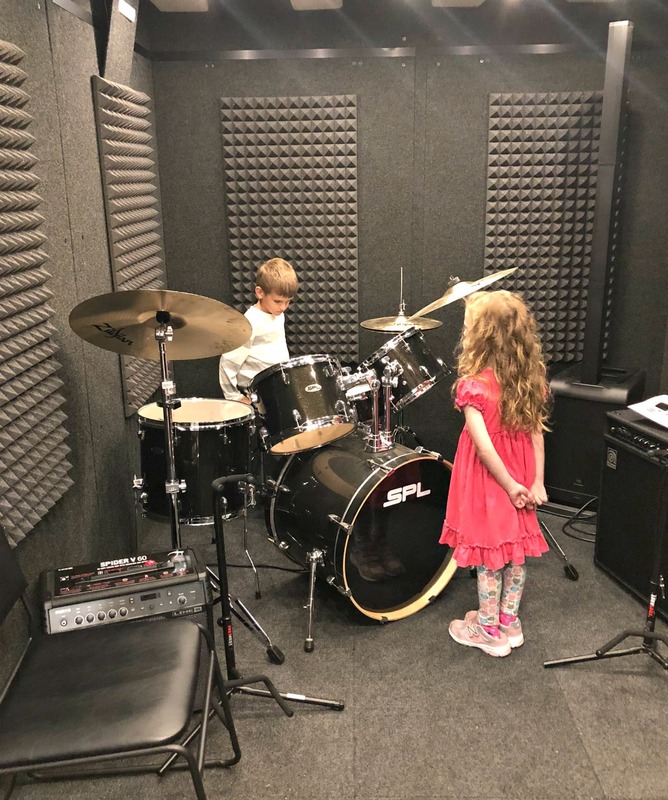 Even though there are still lots of family members around that play music, my husband and I agree that going to a professional for music instruction is definitely the way to go For this, we are thankful that our local Guitar Center offers music lessons. 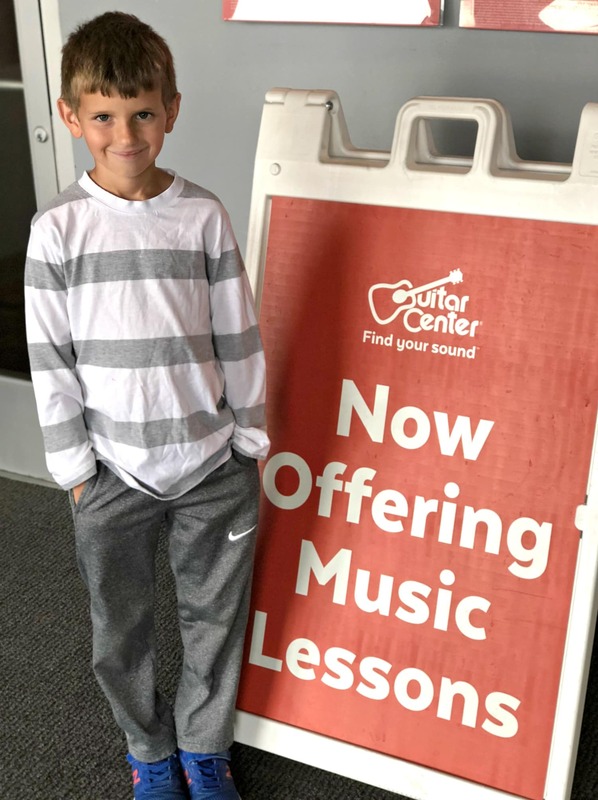 So, why should you take music lessons at Guitar Center? Well, first of all, there is the convenience. Guitar Center has over 200 locations nationally. Odds are, there is one that isn’t too far from where you live. If you are wondering if there is a store near you, just use this handy store locator. 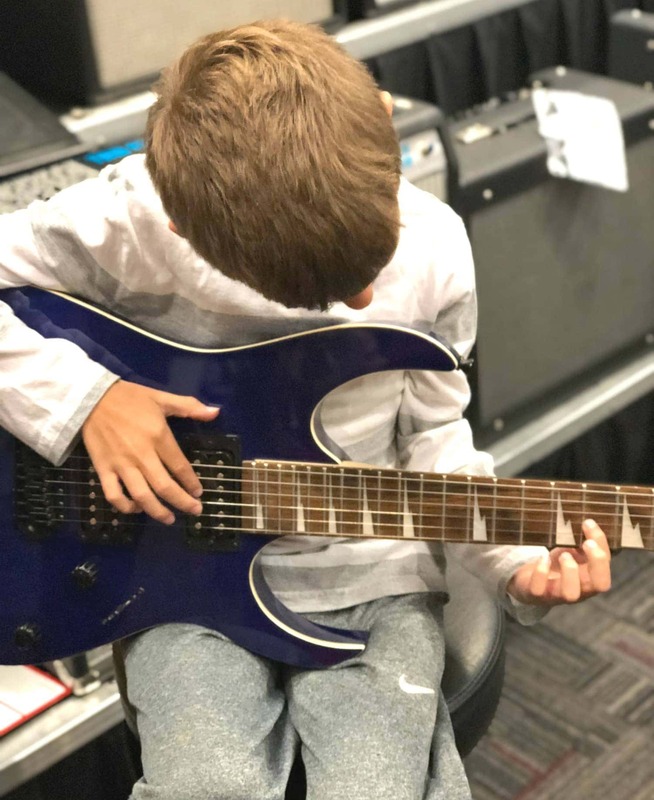 Taking music lessons at Guitar Center is also a “one-stop shopping” experience. They will have all of the professional, state of the art gear, from amps and guitars to strings and picks. And they will also have you covered with all of the learning material and instrument repair that you may require. You will also be provided with a comfortable, sound-proof room with a glass door to play in. There isn’t anywhere on earth you could take a music lesson that will be more prepared for anything that you may need to succeed. It also so super easy to schedule and manage your lessons. Once you sign up with them, you will be given an account that enables you to do all of this conveniently online. With store hours open all day and well into the evening 7 days per week, you will be sure to find a time that works for you and your schedule. They offer lessons that last either 30 minutes or 60 minutes. Guitar Center utilizes a custom curriculum that makes learning fun by using contemporary music to learn music theory. When I was recently at my local Guitar Center store, I looked at some of their learning materials. By using very simple music theory, you can learn to play fun songs like “Lean on Me” or “Twist and Shout”. Keeping the musical foundation simple and enabling students to see results so quickly really promotes the confidence and self-esteem that all budding musicians need! Guitar Center’s curriculum has been approved by the National Association for Music Education. This is the largest arts education organization in the world! And Guitar Center is one of the largest independent music educators in the United States with a database of thousands of songs to learn at every level for many instruments. 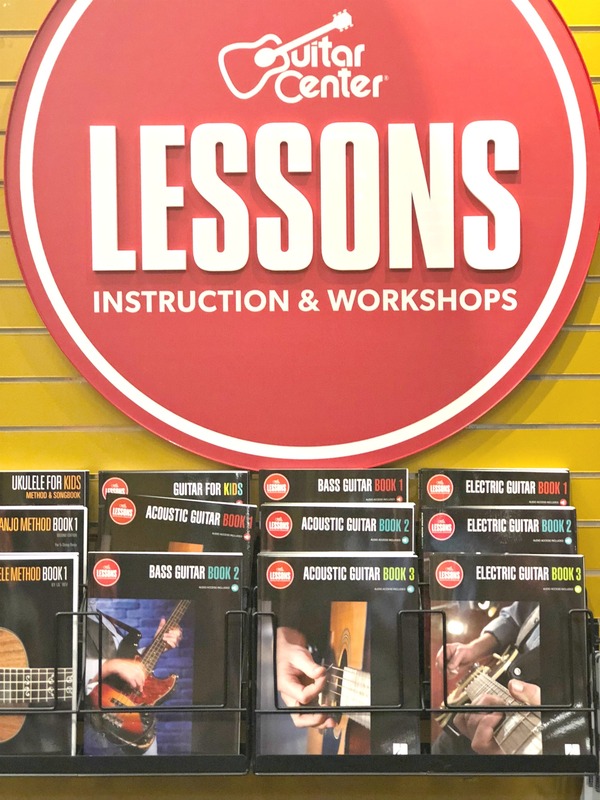 All of the instructors at Guitar Center are passionate about their instrument and sharing that knowledge with their students. Many of them have played for many years at a professional level. They are all highly trained and educated, some have advanced degrees from well-known music institutions. 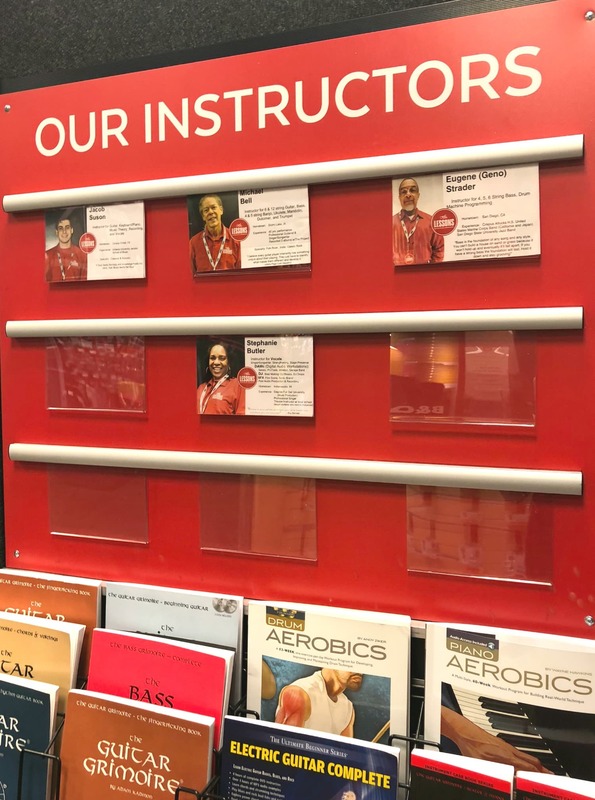 They are positive and patient and Guitar Center has the ability to pair the perfect instructor to match each student’s need. In addition to the scheduled private lessons, Guitar Center goes even further. Their music teachers keep weekly, open, office hours to help supplement the student’s education, they will always be on hand to make sure you achieve your goals. There is also a ton of online material for you to continue your practice at home. Guitar Center has a six-tiered achievement program that will take you from an “opening act” to a “headliner”. There are plenty of opportunities to perform and collaborate with other musicians. These will be sure to keep students motivated to keep improving and obtaining the next level. With recitals and jam nights, you can make friends and get comfortable playing in front of other. They also offer Rockshow, where Guitar Center pairs you with musicians of similar style and ability. You will have instructor-guided rehearsals and then play a show at the end of the week. Just like a real band! To be honest, I first developed a crush on my husband watching him play his guitar on stage. Most of the best men at our wedding were bandmates of his. We were actually able to pay for my college with the money he made in his band. He tells me that, when he was younger, playing music gave him confidence and let him express himself. These are things that are so important to younger kids. Being able to play the guitar has given my husband and our family so much. I am looking forward to our children starting the path to playing their own music in their own way. I know that Guitar Center’s music lessons will help us on that path! For more information, please head to their website and get ready to rock!